I won NaNoWriMo again this year. It was tough in the end and I wasn't sure I would make it, but I ended up going over the limit by a decent amount so I guess I had it in me after all. That book is called John and Deety Save Christmas and will hopefully be available this summer if everything goes ok. In the meantime, I'm working on the final edit of Cheerleaders of the Blind Dead as well as the cover. I'm looking at a February 2018 publication date for that one. After that, if my friend finishes it in time, you can look forward to a cover from me gracing a novel from a new author that I'm excited about. From what I've read so far, it's a great story and I look forward to sharing that with you when it is out. That's all for now. I'll try to keep you updated with my nonsense more frequently now that my schedule has freed up a bit. 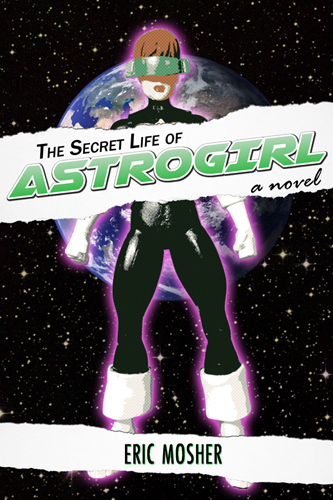 Just submitted The Secret Life of Astrogirl to the Kindle Scout program. I'll let you all know when it is live so you can vote for it and share it. Plus, if it gets enough votes, you all get free copies just for voting. How cool is that? I'll keep you updated. Should know in a few days if my entry passes review.